This month we have selected an incredibly romantic chair from Christopher Guy that you can curl up in with your favorite person. 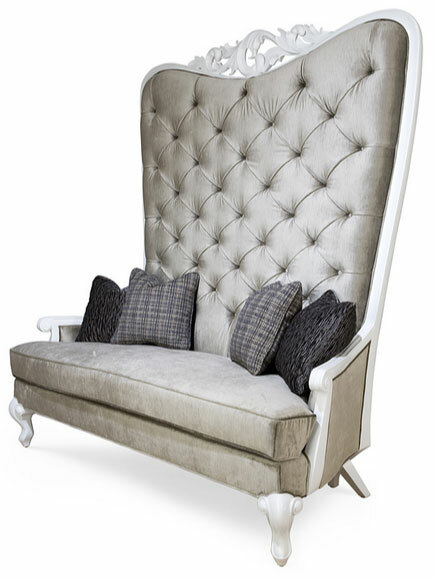 The Allure is a gorgeous tufted back love-seat with signature Christopher guy Chris-cross legs. We love the scale of the high back of this piece. The subtle, ornate details at the top and in the legs help to inject a sense of romance into the space. The soft grey upholstery has a luxurious feel that adds to the romance without being in your face or obvious about it.